It’s been an incredible time. Since Christmas I haven’t stopped, with SO many amazing workshop and courses to organise and prepare for. After all the feed back, I’m listening. Firstly all classes after Easter will have a light lunch and cake included, catered by the fabulous Juliets Cafe. The day with us really will be a treat from start to finish. 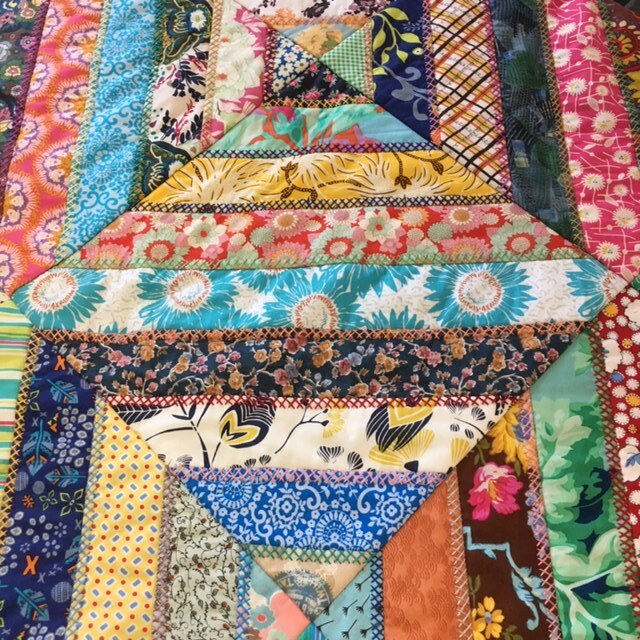 Many of you have asked for a quilt making course so, Carolyn Forster our incredible local quilting teacher is teaching a complete quilt course, taking you through every step, rotary cutting your fabrics, machine piecing together, quilt design, building the quilt layers, quilting and binding to finish. Everything you need to know, 5 full days, 30 hours in total! Starting in October this course takes you up to early December so lots of time to finish by Christmas. Also full day workshops to learn or refresh “hand quilting” and “machine quilting”, step by step tuition to guarantee you are quilting like a pro. With Carolyn Forster. So many of you have asked for these, small groups so lots of teacher one on one time. For those who quilt already we are offering the Herringbone quilt, with Carolyn Forster. A beautiful quilt embroidered on all the seams. Simply gorgeous. Main picture shown. Melissa Walters is teaching a beginners dressmaking workshop. Using a Merchant & Mills CamberSet pattern, this is a great introduction to dressmaking. We stock the pattern and linens from Merchant & Mills. The sample is beautiful and just happens to be in my size – thanks Melissa! Australia is coming to town too. Judy Newman, Susan Smith and Margaret Mew are all teaching this summer. A real privilege for us. Travelling over for Festival Of Quilts (a must for anyone interested in Quilting 1-4 August in Birmingham NEC) they are teaching brand new patterns coming out this year with Quiltmania. It’s been surreal and I can’t wait to sit and sew with them all. Patterns, books and templates are in the shop and much more on its way. Emma Mary Designs are due in soon too. Her colourful work is very exciting, more will be shared later. For those who don’t do Instagram it really is an amazing source for looking at people’s projects and it’s been fascinating for the business. I highly recommend it. The courtyard is being planted, so on those glorious days the patio will be open. A great spot to relax in. All suggestions and ideas welcome, this is your little patchwork shop, and we love having a chat and being a social hub for everybody. Jenny is running Saturday Sewcials from 1-3pm £20 each on various days and the first Thursday of every month a free evening of sewing 6-8pm – sign up in the shop to grab a spot! April 4th is the next date. Of course there are any more classes, take a look on the website to see Tracy’s Reverse Applique, Helen’s Japanese Boro and Ambers EPP.